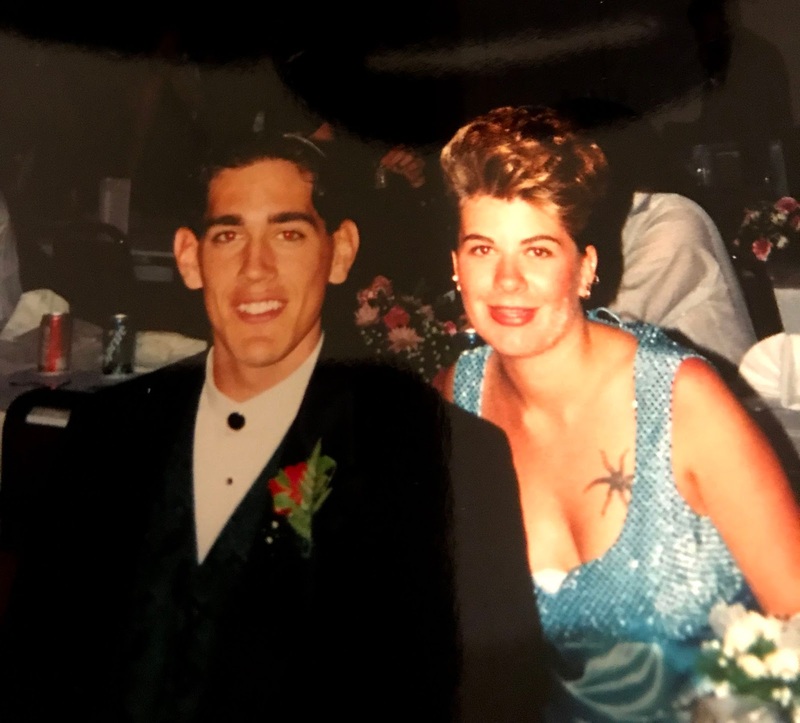 In May of 1997, during my grade 12 year of high school, on a lazy afternoon study hall session in the east corner of the high school cafeteria, Edyn Rothenburger agreed to be my date for graduation. It was perfect for both of us. There were a group of us sitting around, discussing plans for the upcoming grand finale of our grade school careers. I had a girlfriend, but she lived in Vancouver and wasn’t going to be coming to Kamloops for my grad. Edyn wasn’t attached to anyone at that point and didn’t have anyone particular in mind that she might like to go with. Happily, she settled on me. She and I thought it was the perfect fit. We had been in school together since we were in kindergarten, having grown up in the stable-and-farm area Southeast of town, Barnhartvale. I, like many of us who had came from that area, grew up together, year after year, attending Robert L. Clemitson elementary first, then Valleyview Junior High School, and finally Kamloops Secondary for our Grade 11 and 12 years. So, what a way it would be to end those years, to go along to grad with someone who’d been a friend and classmate for so long. I think at the time, Edyn’s mom, who was one of my all-time favourite writing teachers at that same high school, thought the arrangement was just as poetic as we did. Grad was great fun, as high school grads should be. Edyn was a knockout. I mean, look at this girl. Edyn and I joked that when we were “old”… you know, like 30… if we were still single and finding our way, we’d find each other and extend the graduation arrangement into something more permanent. A few years went by and I left town with no real intentions of coming back. A few more years went by and I married that girl that couldn’t come to my high school grad. Edyn, save a year away for school, stayed in Kamloops, had a son named Mykel. I saw Mykel, and Edyn, and Edyn’s mom here and there over the years on various return trips to Kamloops—nothing planned, just occasional run-ins, at church, in town, at the park. Connections were made again once Facebook rolled around. We messaged back and forth here and there. Not much new to say, really, largely reminiscent chatter about days gone by. “How are the kids”, “how’s life”, and that sort of thing. Edyn’s life wasn’t perfect (no such thing, after all). There were mental struggles early on, and pressures to fit in. Edyn’s personality was fire. Sometimes it was bright, a light you could see in her shining eyes, with a million watt smile to match. At other times, you knew she was going through something and the embers were cool. Relationships weren’t perfect, and there are some burned bridges there. I won’t sugar coat or bury that fact here. It’s who she was and the life she lived. But I always kept a soft spot in my heart for this girl. She did good, hard, important work, lending her talents as a resource coordinator at the YM/YWCA Women's Emergency Shelter. In March of 2017, an event occurred that would shake Edyn to her very core. Her teenage son, Mykel, going through his own struggles, ended his own life. I will stop here for a moment to reflect on what this would do to me if I were in Edyn’s shoes. As a parent, I love my kids beyond anything measurable. For the moments I am infuriated by their random actions, for the days I feel impatient with their obnoxious behaviour that crops up… I pause, and just think for a second what would happen to my heart and my mind and my soul if I ever lost one of my kids to tragedy. Edyn lived every second of every day of almost this whole past year in just that reality. Her Facebook feed has been an open, unedited source of raw emotional response to the loss of her son. She has posted videos of herself weeping openly, written notes trying to describe what her agony feels like. Posted picture after picture of her son. There is no ‘like’ button for what she was feeling, no comment or offer of prayer that could match what it must be like for a parent to lose their child so young. Edyn and I messaged back and forth early in the summer of 2017. 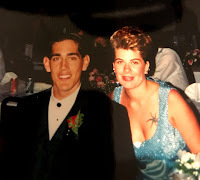 Our high school’s 20th reunion was fast upon us, and, if it worked out with my own schedule to be in Kamloops, I hoped she would come, that, even in the wake of the loss of Mykel, she might entertain reliving the glory days of our grad. "I often talk of having the best grad date! ", Edyn said in a message. "I am quite nervous about attending the 20th especially in light of Mykel's passing." I know there were other broken friendships she also likely didn`t want to have to face, and that wouldn`t have been a whole lot of fun. As it was, my schedule wasn't going to work out, so we didn`t connect over the grad reunion. Edyn`s facebook posts about her unimaginable pain continued to roll on. More heart emojis. More thoughts and prayers. But not enough real healing. Almost a year later since the passing of her son, Edyn`s pain has overwhelmed her, and she has left us to join Mykel. I believe in a God that welcomes his children home. And never mind the alternative spelling of her name; my God is especially fond of the children named Edyn. I remarked to my wife a number of times over the last year that I was worried this might break Edyn completely. I am sorry today to see I was right. I am sorry we didn`t get to relive that graduation dance, Edyn. I am sorry for what you have suffered through and that there was no help for you, no words kind enough, hugs warm enough, visits or thoughts and prayers strong or effective enough to keep you earthbound. I'm sorry the counselling, psychology, psychiatry and medications didn't help. My deep, deep condolences to your family and friends. I am happy to count myself among the latter. Edyn, I hope today you and Mykel are reunited. You are loved, and you will be missed.